Once a week I post interviews with interesting designers about their insights on their experience of working in the Knitting industry. I’ve noticed that every designer makes their living in a slightly different manner bringing their own unique presence to the Knitting world. Katarina is the co-founder of MillaMia. You can find their website here. Classic Elite is now the exclusive US distributor of MillaMia, a fabulous children's brand already established in Europe. MillaMia, started in 2009 by two Swedish sisters in London, is coming to the United States! 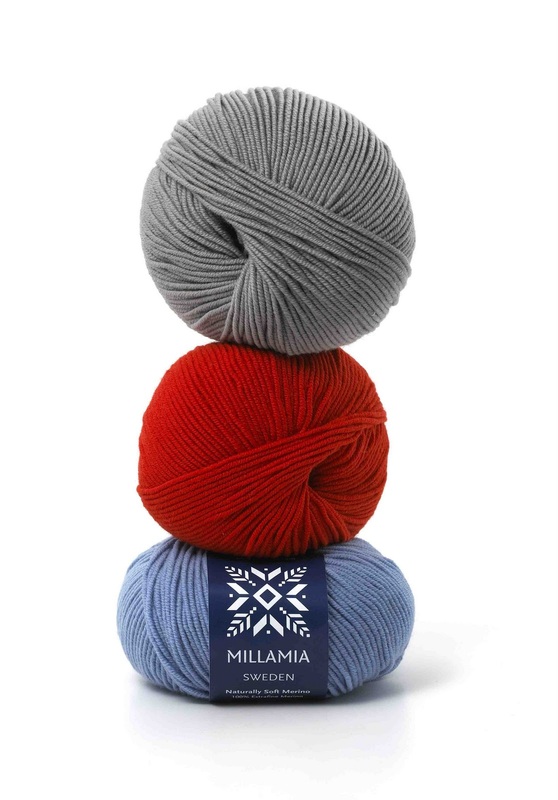 MillaMia’s products include Naturally Soft Merino, a 100% extra fine Merino machine-washable sport weight yarn in in 17 colors, a collection of beautifully styled patterns for children, and cushion and stocking kits for the holidays. MillaMia’s signature look is bright colors, high style and modern takes on classic techniques. The photography is crisp, clean and whimsical. Publications include Bright Young Things, The Close Knit Gang, and Wonderland, each featuring 18-20 bright, fun and modern designs for children aged newborn to eight years. Tell me how you got into the business of running a yarn and pattern company?I have always loved knitting – since my grandmother taught me when I was little, and I took up the craft again when pregnant with my daughter (now 5). At that time I struggled to find enough really modern, stylish patterns for children that I not only wanted to knit but also wanted my daughter to wear once completed. 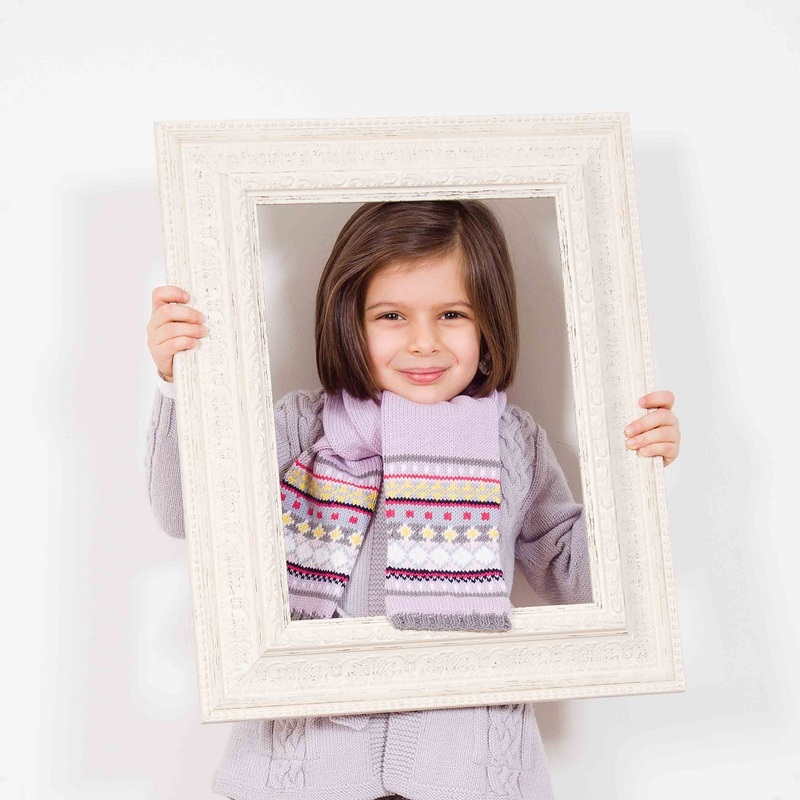 Luckily my sister Helena is a fashion designer and so we decided to design a few of our own – it quickly spiralled into an entire first collection of children's wear patterns and so MillaMia was formed! How long have you been in business?Just over two years. 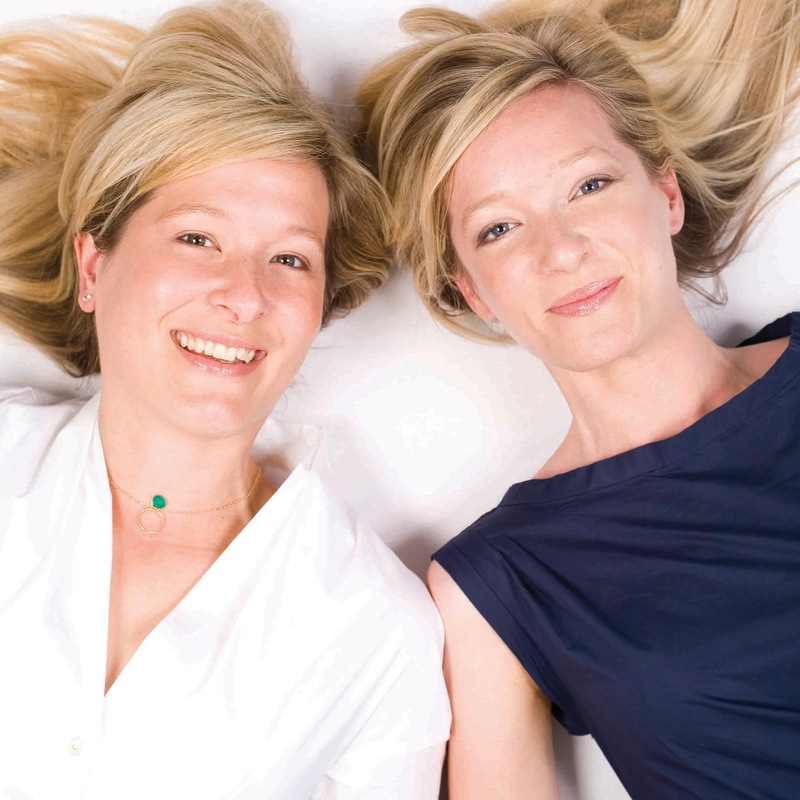 We launched in the UK (where we now live although we are both Swedish) in Oct 2009. Do you run the business by yourselves or do you have employees, if you do how many people work for you? We have a mixed set up - I work full-time for the business while Helena is still busy with her day-job in the fashion industry. As Creative Director of MillaMia this means she has to fit in all the MillaMia design work and any of our visual stuff (e.g. photo-shoots etc.) around her other commitments. While this makes it tough for her to get any free time, and life is a constant juggling act I think it benefits MillaMia as her day-job ensures Helena stays right up to date on trends, and the bigger picture fashion scene. We also employ 2 office assistants – 1 of whom is part-time, as well as a couple of sales agents for the UK and Australia who work on a part-time basis also. How did you choose the yarns that you carry at MillaMia? It quickly became apparent when Helena was designing that colour was really important to her and texture, so we knew we would have to create our own yarn line to be able to achieve her design vision. For me as a knitter it was important that any yarn we produced met certain criteria – that it was high quality natural fibre; that it was not too chunky for childrenswear yet also not too fine as we wanted it to be quick enough to knit with; super soft so that children would want to wear the end result; machine-washable so that it was practical too; and also that it just had a ‘nice’ handle – hard to describe but I did not want something too floppy or that split or made life hard for the knitter. With those criteria in mind and a bit of luck we met a fantastic mill in Italy who worked with us to come up with our Naturally Soft Merino Yarn. We are delighted – especially as our hard work in creating it seems to have paid off – we get a lot of feedback that people love knitting with it, we have a great Ravelry rating and as a result very loyal customers that come back again and again. At the moment we only have the single yarn range in 17 different colours and I think that is part of our appeal for lots of shop owners – we are a concise yet comprehensive range. All our MillaMia patterns are created with just this yarn and I think our ability to refresh and renew through pattern design is a real testament to Helena’s talents. I think Helena finds inspiration all over – nature, art, photography, people in the street - alongside fashion trends. I am a continental knitter so in terms of process I like anything that relies on the knit stitch – would it sound terribly lazy if I said garter stitch?! From a visual perspective though for me you can’t beat Fair Isle (perhaps it is our Scandinavian background). So my ideal pattern might be a fair isle knitted in the round. How did you determine your size ranges? One of the things that really frustrated me when I was knitting for my daughter was when I found a pattern that I really loved for her but it only went up to the age of 2 and she was perhaps 3 at the time. If I looked at the design there was no reason that it would not also be appropriate for a 3 year old to wear and that annoyed me. Thus when we started MillaMia we made a very conscious decision to grade our patterns to a wider age range where appropriate. Obviously there are limitations as to how far you can push this without losing the design and shaping, but I hope we have struck a good balance. Our first two books The Close Knit Gang and Bright Young Things have patterns graded from 0 to a generous age 5 and our latest book Wonderland even has some patterns going up to age 8. As children’s sizing is not an exact science and the average size of children by age even varies by culture and country we always urge people to check the measurements given to choose the most appropriate size to knit as opposed to going by the age guidelines alone. We know that some of our patterns are quite generously sized and we therefore try to give our knitters this advice when we meet them in person, on Ravelry notes and also by notes in reprint editions of our books. I look at other designers work if I am browsing through an LYS as I am still always looking for fun things to knit myself. However as I am not the design side of the business I am not that concerned that I will be influenced. Helena finds it interesting to look at new designs – whether they be hand knit or ready to wear. It can be a tiny detail that you take on and reinterpret into something completely different. We’re lucky that Helena has her own signature style and vision and as long as she is true to that then we know we are acting with integrity and deliver collections true to the MillaMia concept of cool, contemporary style. I have to say I don’t know anything about this controversy. As we are based in the UK it may be something that is topical right now in the US but I can’t say it has reached us here yet. How many sample/test knitters do you have working for you? Lots! We truly believe that samples are such a powerful way of communicating our designs to knitters so we really like showcase these as much as we can with trunk shows and at knitting shows. Also as we like to show items in more than one colourway and size in our books we always have test knitters working to help us get ready for upcoming photo-shoots. I would say we rely on about 4 regular test knitters who we send stuff all the time and then we have another 4 or 5 that we use occasionally when we have lots to do with a short time frame! Actually at the very start we did not. We had a hunch and a hope! But as we got more serious and started investing more time and money we realised we needed one to make sure that the business is viable and to help us set goals and monitor our progress and to make strategically sound decisions. With a background in business consulting writing the business plan was actually the easy part compared with some of the other stuff we have had to learn. We are lucky to have several friends who are successful entrepreneurs in their own right who provide a useful sounding board for us. While not in the knitting industry they have retail experience (something I lacked) and that has been a great support. I must also acknowledge the role my husband plays in the business as unofficial sounding board and chief champion of MillaMia – without his belief in my abilities and Helena’s talent I am not sure we would ever have had the guts to start the company. Not really – we have our own business model which is based on finding the right segment of the market for our product by working with the right shops to help us reach this customer. We started the business in 2009 so the Internet has always played a key role in it. From helping us to research the industry and suppliers when we were new through to the impact of social media today we can only claim a positive influence of the Internet. 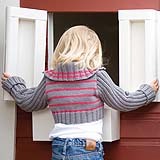 It is tricky – especially with two small kids and my main office being at home. The temptation is to always be working and as a growing business there is always something to be done! Also now that we have come to a fantastic arrangement with Classic Elite Yarns to distribute our yarn exclusively in the US, the time difference means that I am working with our American colleagues a bit later into the evening. My solution is to try to keep the weekends free of MillaMia so that I can focus on my family. It is hard to keep the energy and enthusiasm up for the business without this break. Of course this is not always possible – for instance when we are doing trade shows that are at the weekend or photo-shoots, but as a general principle it works for me. We have been lucky so far I think and not yet received much criticism, but when we have we try to see if we can take something constructive from it – that has been a useful lesson for me as a way of putting any criticism into context and not dwelling on it, which can be counter-productive. In specific situations if appropriate we will always try to respond and see if we can make the situation right. It has taken 2 years – we paid the people working for us before I paid myself anything. And to be honest my compensation from MillaMia is not yet comparable to what I used to earn when I was working for someone else. However we take a long term view and the potential upside for our business combined with the flexibility it allows me and the incredible sense of satisfaction and pride in terms of what we have achieved, more than balances out any financial down-side in the short term. What is the biggest lesson running a yarn and pattern company has taught you? Have dreams and goals – they can come true! When we first started the idea of selling our product in the USA and being widely available there seemed like a very distant dream. Now two years later we are working with Classic Elite Yarns - one of the most respected and known yarn distributors in the USA - and will soon be available all over the country – who could have dared imagine it? What is your favorite part of what you do running the business? My favorite part is actually product development – so helping to get Helena’s designs from the initial design phase through the technical process and into our distinctive book and pattern formats. There is something very tangible about the end result – a bit like when you finish a piece of knitting! We've seen many cycles in the yarn industry of the market increasing and then falling again. What are your thoughts on where things might be headed now? I think we are going to maintain the current level of demand as more people find the craft with the recent spate of publicity surrounding knitting. I hope the wholesale prices of wool level off (after their crazy increase in the last year) so that knitting with wonderful natural fibres like merino wool remains an affordable luxury for people. What advice would you give someone who wants to pursue a career in the knitting industry? the Internet to its full potential, understand that things might start slow but can then take off, and finally make sure you focus on quality. There is a give away for a MillaMia Stocking Kit here.